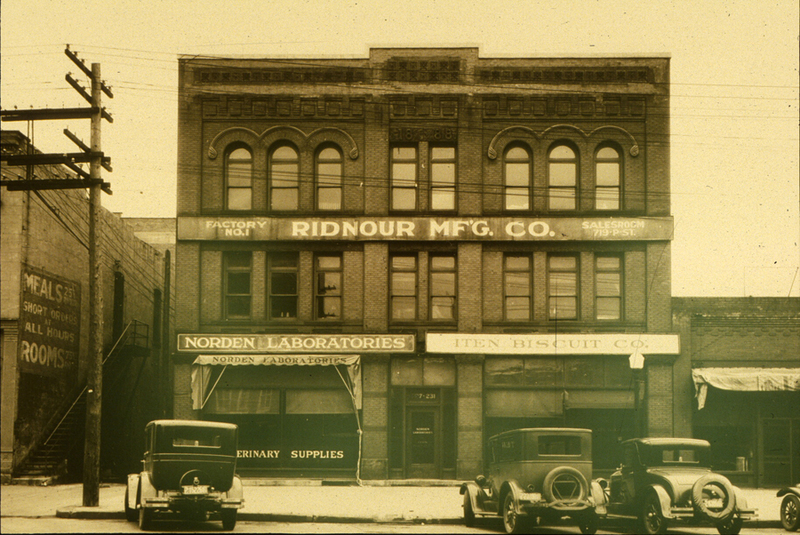 West across the alley from the Holiday Inn, the Ridnour Building of 1925 was one of the last factory-warehouses built during the Haymarket's principal period of development, replacing another of the district's several hotels. The original cost of the reinforced concrete structure was about $80,000. Its architects, Meginnis & Schaumberg, previously had been partners of F. C. Fiske. They followed the common pattern of an ornamented front and factory-plain sides. Their choice of decoration is far less common, especially in the relief-carved panels between the stories at either end of the north facade and the similarly carved capitals topping the piers, which seem almost Mayan in inspiration. This building can be considered a precursor to the architects' later Art Deco designs. 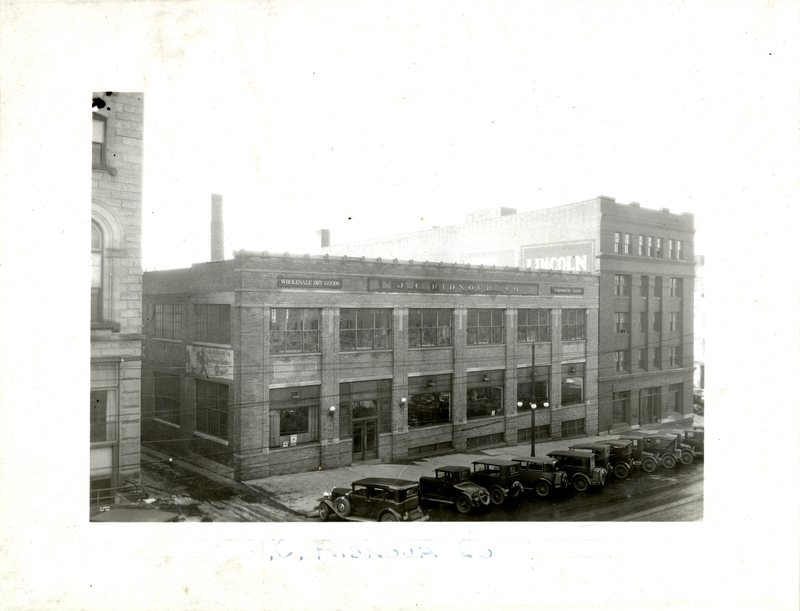 J. C. Ridnour Company was a wholesaler of furnishing goods and notions and a manufacturer of work clothes and overalls. The company formerly had a headquarters a block west at 719 P Street and even after building this structure operated a factory in the Burr & Muir Block at 227 North 9th Street.